The girls played well against an older, year 9 (3rd year) side. 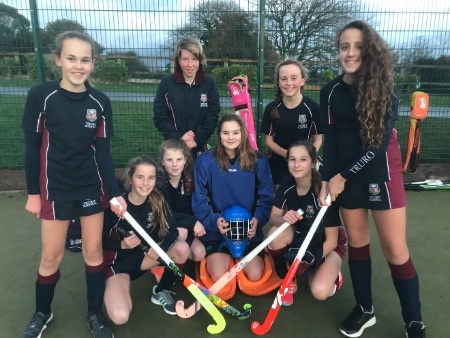 With many players unavailable due to netball fixtures and the full school play, West Side Story, the selected girls hadn’t had much experience playing together. This didn’t deter their spirits though and the girls played well together, subbing in and out and proving their versatility across all positions on the pitch. A super start saw the girls secure an early goal and they quickly settled in, dominating the play. Two more goals followed before the half time whistle and the girls went into the second half leading 3-0. The second half was very evenly matched with Pernice pulling two goals back and bringing the score line to 3-2. The girls dug deep, determined to bring home the win, and sunk two more goals before the full time whistle. 5-2, the final score. Player of the match as voted for by the opposition: Libby.